Leonard Zelig: [in a hypnotic trance] My brother beat me. My sister beat my brother. My father beat my sister and my brother and me. My mother beat my father and my sister and me and my brother. The neighbors beat our family. The people down the block beat the neighbors and our family. "Identity Crisis and Its Relationship to Personality Disorder "
One of the most sophisticated, cleverest, funniest, exquisitely shot and edited, scored, and acted movies ever made, "Zelig" is a masterpiece and astounding work even for Woody Allen whose mediocre movies are way above the regular Hollywood fares. With the modest running time less than 80 minutes, this mockumentary tells the story of a "human chameleon", Leonard Zelig, Leonard the Lizard who possessed an extraordinary ability to transform himself in anyone he met (or should I say, an extraordinary ability possessed him?). Leonard is a shy, little, meek Jewish man whose rare personality disorder consists of not having his own personality at all and successfully and effortlessly adapting any personality he came close to and fitting perfectly to any surroundings. His skin turns black when he is with the Black people, with the Native Americans, he became one; attending the dinner with the intellectuals, he speaks brilliantly with F.S. Fitzgerald, when on the baseball field, he is Babe Ruth. The meeting with an intelligent and compassionate psychiatrist, Dr. Eudora Fletcher (Mia Farrow) will begin the slow and long process for Zelig of searching and finding his own personality and possibility for love and happiness. The movie provides laughs and smiles but it also makes the viewer think of more serious subjects. Are we all have a Zelig inside? Don't we all want to be liked and try to adapt to our surroundings to feel comfortable? The movie can also be viewed as the meditation on the nature of the acting ability. While watching "Zelig", I kept thinking of a book I read recently. One of the characters was a great actor who had the similar to Zelig's disorder - he had no personality at all until he was given a part to act on stage. That Actor made the best and most convincing and complex Shakespeare's heroes - he was a brilliant reflective Hamlet but his greatest success was tragic Othello. The actor's transformation to Othello was so real that he acted it at home with his wife whom he suspected in cheating - he played his role perfectly with the same as in the play results. He ended up in the asylum where he could not act but he was allowed to read...Dostoevsky's novel "The Possessed" from which he chose to adapt the personality of Nikolai Stavrogin with rather unpredictable results. When his doctor finally realized what happened, he took all books with the exception of "The Idiot". Finally, the actor became a gentle and kind Prinz Myshkin, and that was the end of book. 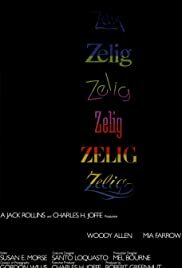 Both, the book and the movie "Zelig" made me think of the price the artists pay to achieve perfection in their art. 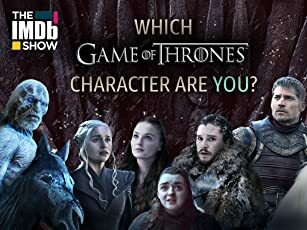 Are they vampires sucking the life out of their victims only to use them as characters for their acting roles? Is that the ultimate price the artist is paying for being a great artist? Does he need lives and souls of others to be able to create? This is one of many subjects "Zelig" makes you think about. Allen seamlessly weds Black and white newsreel footage with his humorous but deep and fascinating tale allowing Zelig to be exactly where and when History was made. Using special lenses to give the movie the old style, mixing his own footage with the real documentaries, including his favorite music, dances, feeling perfectly forever gone era, Woody recreates The Roaring 20Th with breathtaking authenticity.